Judith is a Resource Mobilization and Partnerships Intern at the Agenda for International Development. Judith studied Public Policy and Human Development at UNU-MERIT, where she specialized in Social Protection. 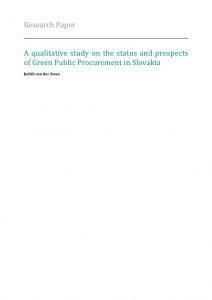 Afterwards, Judith interned at the Ministry of Environment in Bratislava, where she wrote her Masters dissertation on the prospects of Green Public Procurement in Slovakia.